Since I started doing weekly Top 5 Lists, none of the posts have been as difficult to complete as this one. Beyond the top two choices, there are plenty of worthy contenders that could make the final three slots (or at least the honorable mentions). Sadly, none of the main films from this marathon will make this list, but that relates more to my past viewing than their quality (Navigator being the poor exception). The tricky part of picking a Top 5 for time travel is the wide variety of movies in this genre. There are comedies, melodramas, horror movies, and more straight-up sci-fi pictures. These picks relate more to my personal preferences (my apologies to melodramas) than an ultimate ranking of quality. Like any subjective list, my favorites are going to win out. Let's check out the picks! While preparing for this marathon and looking for lesser-known films, the choice people recommended the most was definitely Nacho Vigalondo's Timecrimes. This intriguing movie uses a circular structure where the hero's attempts to avoid disaster end up causing the problems. In similar fashion to Triangle but slightly better, it keeps a possibly confusing premise understandable while effectively cranking up the suspense. An even more unique approach comes from Shane Carruth's Primer, a baffling look at white-shirted guys building a time machine in a suburban garage. The plot becomes so chaotic near the end that it nearly lost me, but I love the originality on display throughout the movie. Time travel is a key part of several Star Trek films, so there were multiple good options from this series. My favorite is Star Trek IV, which sends the gang to San Francisco to recover a humpback whale. This is the essentially a comedy, and the humor from watching Kirk, Spock, and the rest of the Enterprise crew struggle to understand the culture is nearly pitch-perfect. It's refreshing to see a different type of mission on Star Trek that doesn't involve space battles. Instead, they're forced to use their smarts to navigate our strange society and find the whales in time. Just missing this list were the action-packed Star Trek: First Contact (the best TNG movie) and the surprising 2009 reboot from J.J. Abrams. Arguably the most influential movie on this list, Harold Ramis' highly entertaining comedy has become a pop-culture term that goes beyond the movie itself. Numerous sci-fi movies and TV series have used this structure, with Daybreak even taking the premise for the entire show. Bill Murray was born to play Phil Connors, the unfriendly and wise-cracking weatherman stuck in the same day in Punxsutawney, Pennsylvania. 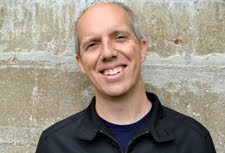 He brings just the right combination of silliness and eventual insanity to sell the part and make us connect with the guy. Andie McDowell is actually charming (a rare occurrence) as his love interest Rita, and the goofy townspeople add to the enjoyment of this easily re-watchable movie. In my Top 5 Post-Apocalyptic Films list, La Jetee and 12 Monkeys shared the #2 spot. My removal of the former from this list isn't a knock on Chris Marker's wonderful short film. That's still a must-see and provides the key elements of Terry Gilliam's film. The more I think about it, however, 12 Monkeys deserves acclaim separate from its inspiration. The tricky story comes together well and places us with Bruce Willis' James Cole as he jumps between time periods. The doomsday scenario plays out surprisingly, and I love the idea that his attempts to change the past are just playing out what's already happened. It's a smart, entertaining movie that showcases Gilliam's skills without being overwhelmed by them. Few movies can top Back to the Future for pure entertainment from start to finish. There is some goofiness in the plot, but that only adds to the charm. Michael J. 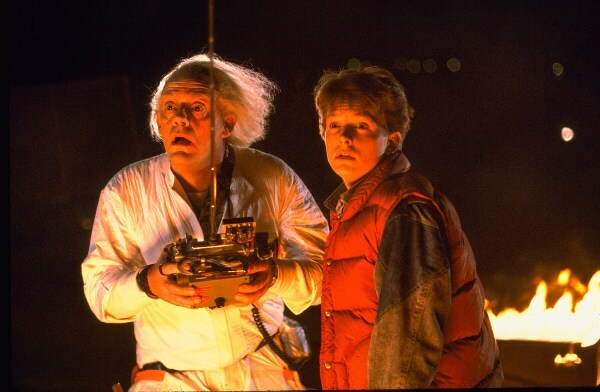 Fox and Christopher Lloyd are perfectly cast as Marty and Doc Brown. The reason this film is far superior to its sequels is the simplicity of its story. Marty has to fix his mom and dad's relationship before the lightning storm that will get him back to the future. That's pretty much it. The connections between the present-day prologue and events in 1955 match up nearly perfectly, and there are plenty of fun moments throughout the movie. 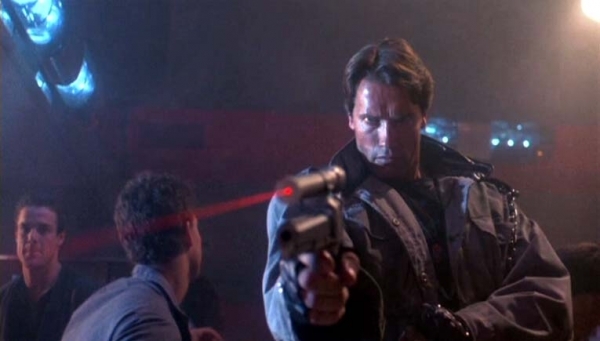 Spawning three sequels, a TV series, and even a theme park attraction, James Cameron's original movie remains the best part of the Terminator franchise. The spare, lower-budget production is the only entry that's consistently frightening, and that feeling's heightened by Arnold Schwarzenegger's cold performance. Unlike the kind versions of future movies, he kills without remorse and is a brutal machine. In the words of the great Michael Biehn as Reese, "he will not stop until you are dead!" The time travel does generate a paradox (the machines essentially create John Connor by trying to kill his mom), but the premise works because it's not overly complex. There's one machine and one protector. Let the rumble begin! Next week, I'll start up The Year 1984 marathon and stick with that year of movies. The fun begins with Prince as he tries to make it big in Purple Rain. I haven't seen Primer yet, but my film club is showing it this autumn and I'll definitely try to see it. dan, that little writeup on the terminator has made me want to watch it again. i love it but with all the extra movies etc that followed it has been watered down in my mind. Toby, I think the terminator really holds up well, especially if you compare it to just awful movies like Terminator: Salvation. It's definitely worth checking out again. Jessica, Primer's an intriguing movie, though it also can be really confusing. I'm glad you enjoyed the list. It was really tough to rank such a strong group of movies. Thanks! All winners indeed so I can see how this would have a tough list to make ;) Glad you at least gave Timecrimes an honorable mention. So simple and understated, yet so effective as a time travel movie. 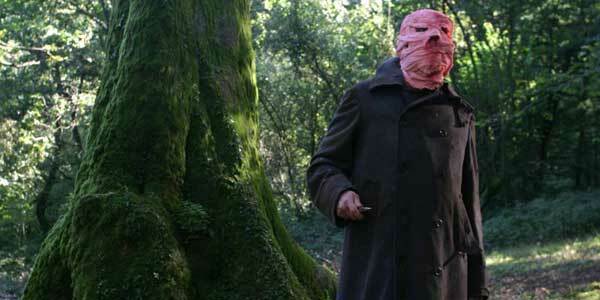 Castor, Timecrimes was right on the edge of making the list. I shuffled things around a few times and just slid Star Trek IV in there due to pure enjoyment. It's definitely a strong film that might even improve on a repeat viewing. Thanks! Great list, Dan. I always laugh every time I saw that Star Trek one in San Francisco, that scene of Spock diving into the whale tank is priceless! Groundhog Day is also one of my faves. 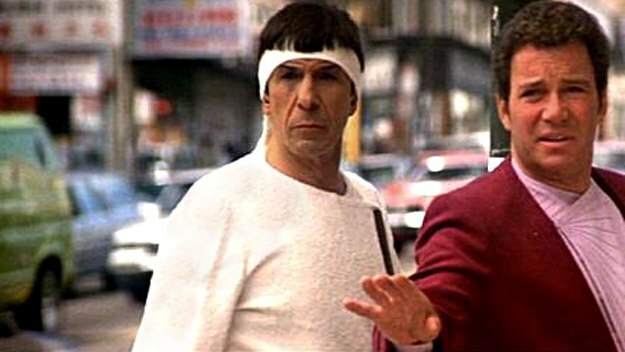 Ruth, there are a lot of great moments in Star Trek IV, and the one with Spock in the whale tank is one of the best. The thought of Kirk and Spock on the bus also makes me smile just thinking about it. McCoy getting mad about the medical care (What is this, the Dark Ages?) is classic too. Thanks for the comment! 12 Monkeys is the film that more than any other made me really respect Brad Pitt as an actor. This was a guy who could've easily done a rom-com every six months, but chose roles like this instead. Also...thank you for the Andie McDowell comment. 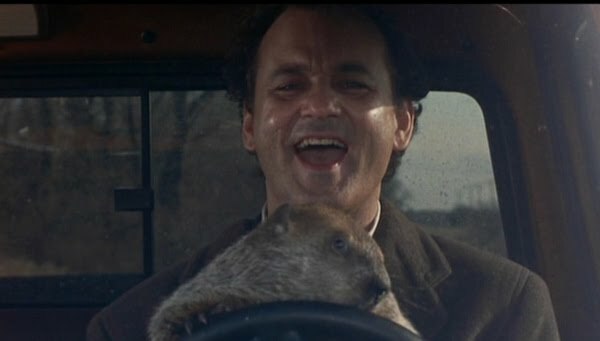 Groundhog Day is one of the only films of hers I like, but I do like that one a lot. 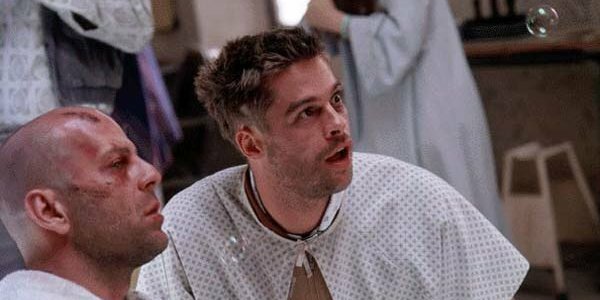 Steve, you're right about 12 Monkeys and how it changed Pitt's career. He still picks some bad movies here and there, but he's made some interesting choices since. I think Andie McDowell is usually awful, but somehow she worked in Groundhog Day. Thanks! Great choices although I do like Terminator 2 better than the original (maybe I should rewatch the first one). Haven't seen the original Star Trek movies but the other ones are great too! Nostra, I think the quality of the first two Terminator movies is very close. The sequel has a great villain in Robert Patrick, some cool action sequences, and their intriguing attempts to stop Judgment Day. Linda Hamilton is also excellent as the grittier Sarah Connor. However, I still love the simplicity of the first movie. Arnold plays the inhumane killer really well, and the conflict feels more human than the big-budget sequel. Still, it's so close that I can't argue too hard against putting T2 on the list. Thanks! I love your top 5, all of them I'd recommend. I also love Star Trek IV and place it right with The Wrath of Khan as the best of the series. I totally agree that it works because it doesn't get as serious as some of the TNG movies especially. Thanks for the comment! Good list. I'd probably replace 12 Monkeys with Timecrimes and have it at #5, but that's a minor quibble. 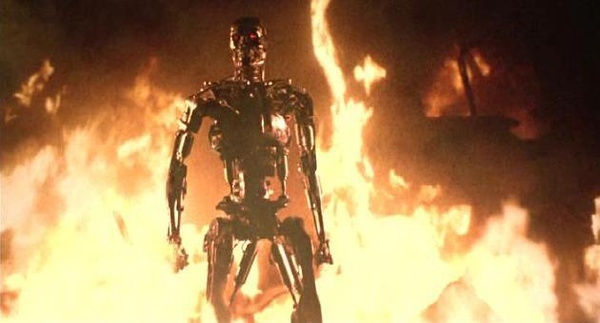 Glad to see you picked the original Terminator over the sequel. The latter is a better action movie, but the former is a better overall movie. "12 Monkeys is the film that more than any other made me really respect Brad Pitt as an actor. This was a guy who could've easily done a rom-com every six months, but chose roles like this instead." - Amen, Steve. A big part of why I respect the hell out of the guy. He chose to make his path in Hollywood more difficult, and as a result, probably ended up making it better in the long run (i.e. having a legacy vs. turning into McConaughey or Jush Duhamel or something). Great list, Dan - as oyu and others have pointed out, there are a number of worthy options, and much of it is just plain old simple preference, i.e., I'd go with T2 and Primer over T1 and Star Trek 4, but I enjoy all of them. Also: I'm one of those people that doesn't count Groundhog Day as a time travel flick. Dylan, I struggled with whether Groundhog Day was truly a time-travel movie since it involves a repeated day, not a movement through time. I ended up deciding that while it's different and involves a time loop, it still fits with the overall genre. But I know it's a tricky subject. Pitt's career has been interesting because he's balanced straight-up Hollywood fare with more original projects like Jesse James. Also, even some of his mainstream movies (with a few exceptions) are still interesting. I haven't seen Moneyball yet, but I think it fits that bill.